Figures in Sight by Glitter Veils is a consummate and vivid album that blends delicate beauty with understated power. Personal and introspective albums sometimes wig me out with their intimacy. I fully understand that such vulnerable and genuine output is often the most authentic and engaging to listen to, but at times I feel as if the music isn’t intended for my ears so much as it is merely a diary entry – a page accidentally flipped open revealing private contemplation penned as a way to clear one’s own head. When one stumbles upon an album draped in such vulnerability it offers a glimpse behind closed doors and drawn curtains. The whole process of writing, recording and distributing an album refutes any claim of said album intended to be a private matter, but the thrill of getting such an intimate look inside someone else’s mind is engrossing. Even though you are welcome here, you feel like you are trespassing. Figures in Sight by Glitter Veils is an album that boasts such a dichotomy. It’s so finely crafted and delicate in its intimacy that I feel like my passive interaction infringes on its cosseted intent. Here I have pried open a cocoon harbouring an insular world where sound and emotion are in the midst of creating an embryo – an organism that is nurtured by an enveloping and comforting sonic palate, best left undisturbed. Glitter Veils is a Brisbane-based two-piece unit consisting of Luke Zahnleiter (The Rational Academy) and Michael Whitney (Nite Fields). The band was formerly called You, but most likely shifted name due to it’s near impossible SEO compatibility. The group began as a bedroom recording project for Michael before developing into the tandem form – seeing the sound expanding sonically beyond the four walls of Michael’s bedroom but retaining the intimacy that comes with the original isolated creativity. One can quickly draw parallels between the bedroom studio and the aforementioned cocoon, and while this album has been formed in what feels like a darkened and undisturbed vacuum, the emerging work/entity boasts beautiful crystalline features, polished to a sheen and expansive like translucent wings unravelling. The album alternates between reverb-laden crashes, haunting sparseness and synthetic modulation. Michael Whitney’s audible contemplations aren’t always decipherable, but the obfuscated intonation adds to the overall aura of the piece – you have to lean into the songs to effectively break down the lyrics, and sometimes it’s better to just let it wash over you. As a whole, Figures in Sight sounds like a work made by a team of musicians rather than just two – this is music that can fill a room or your head and can tap into deep-seated moods and thoughts that simmer in your mind. 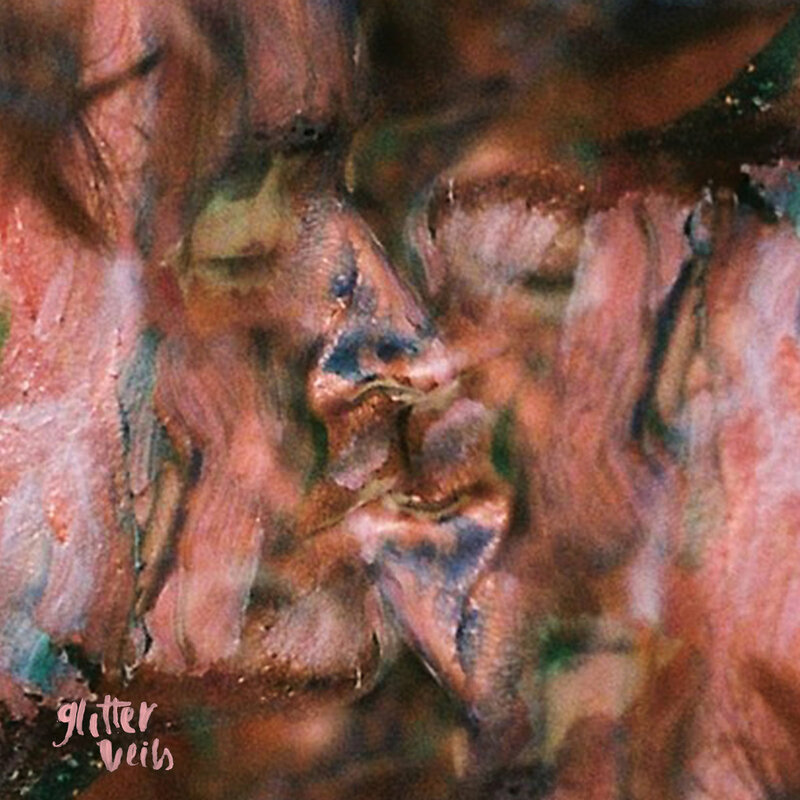 If you want to take anything away from this review, then make it this: Figures in Sight by Glitter Veils is a consummate and vivid album that blends delicate beauty with understated power. It’s music that you can lose yourself in easily, a warm space that envelopes and soothes. This is a private space, but you are most welcome.